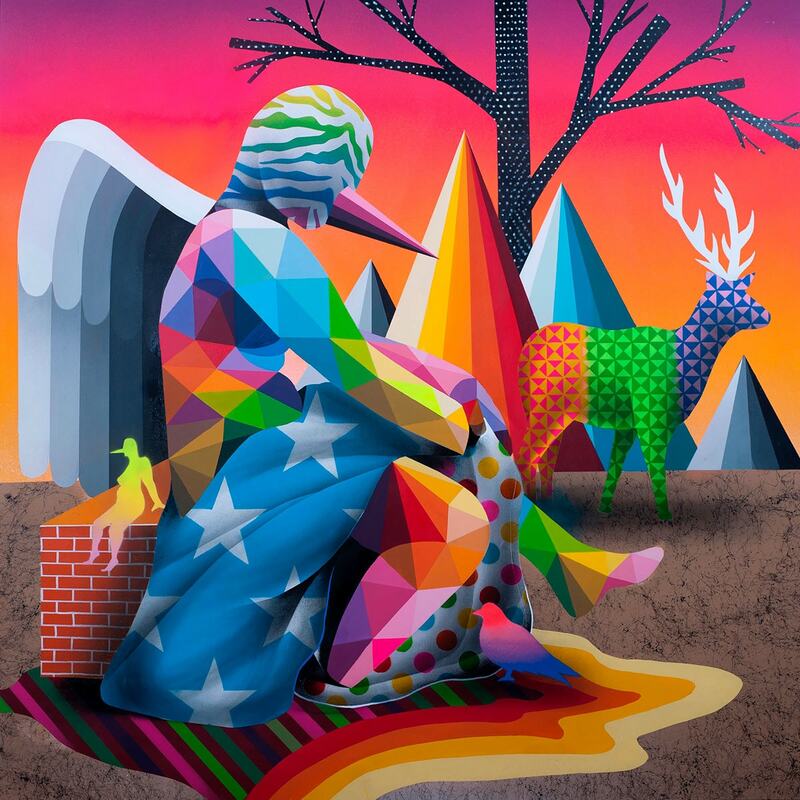 After his latest individual exhibitions in Lisbon and Barcelona, the new artistic proposition from Okuda San Miguel, named “Lost Olympus”, will arrive at the Stolen Space gallery in London from February 2nd to 26th, 2017. 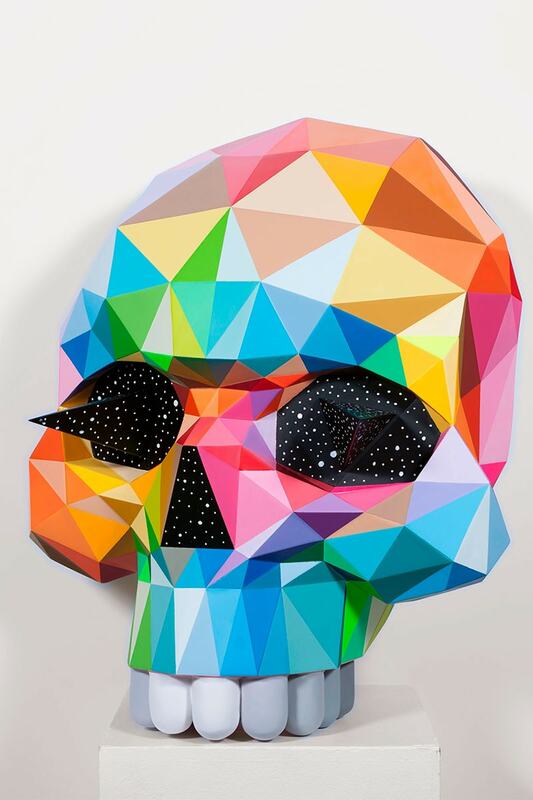 In “Lost Olympus” Okuda offers us a representation of the mythological idols and characters from ancient Greece, as contemporary icons through his geometric structures, multi-coloured patterns and dreamlike scenes, and as part of his continuous reflection of our contradictions, longings, intuitions and beliefs. 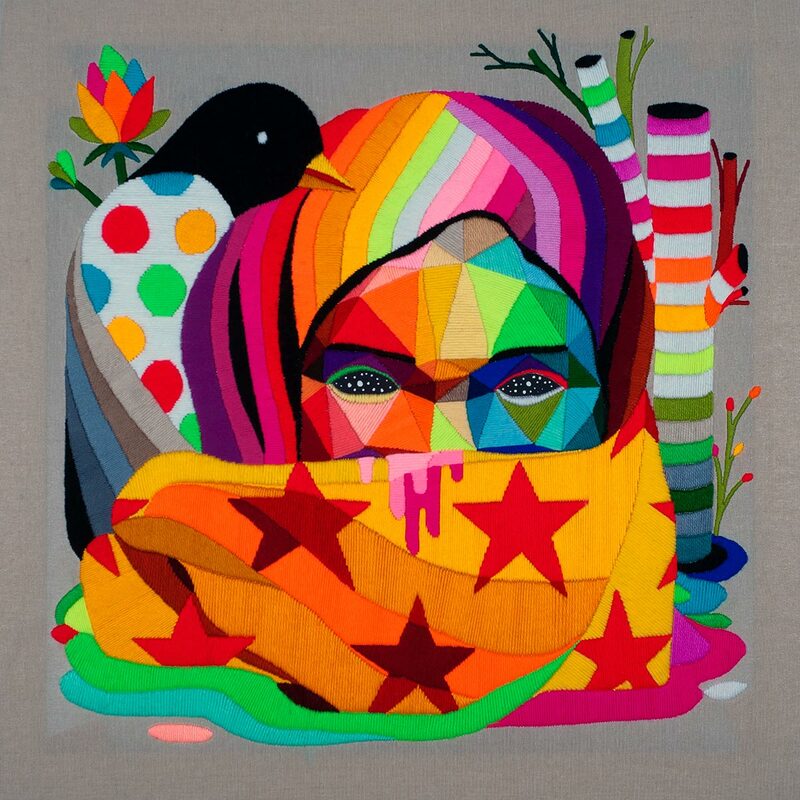 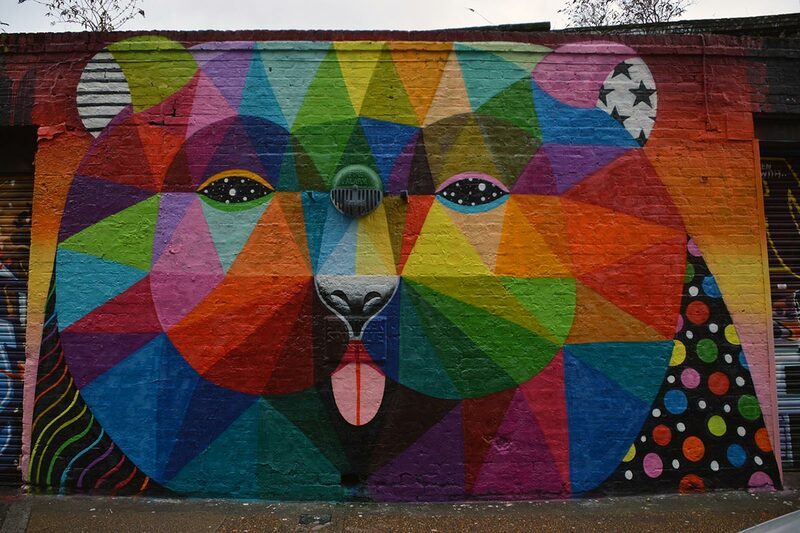 Okuda’s art can be classified as Pop Surrealism with an important influence of his work in public spaces as a muralist. 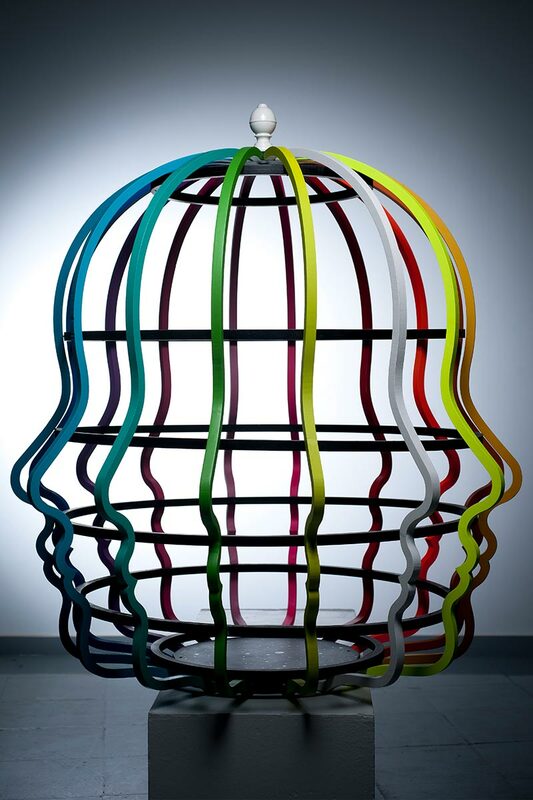 A continuous formal and conceptual research carried out in innumerable trips and in contact with different environments that is distilling the universal elements of his work. 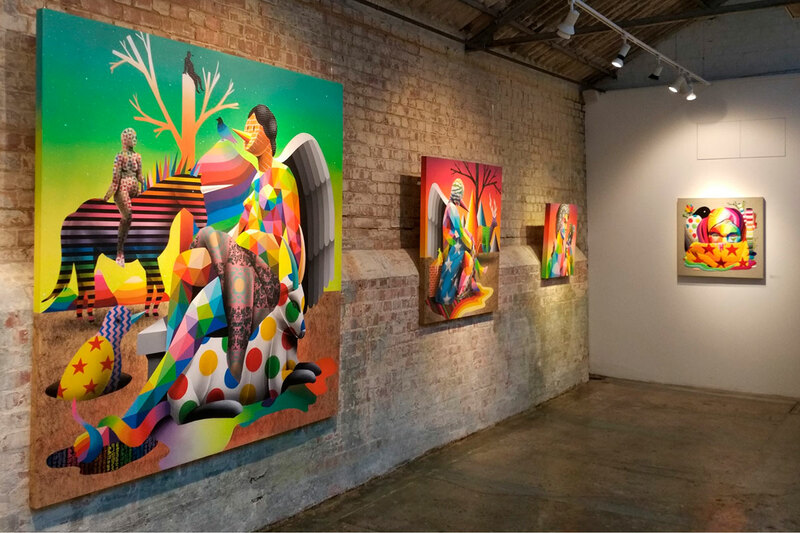 A certain existential restlessness and a deep curiosity of the history of the different cultures that he finds on his way have led him to admire the form chosen in each of them to represent their gods, legends, and myths as a repertoire of images and complementary concepts. 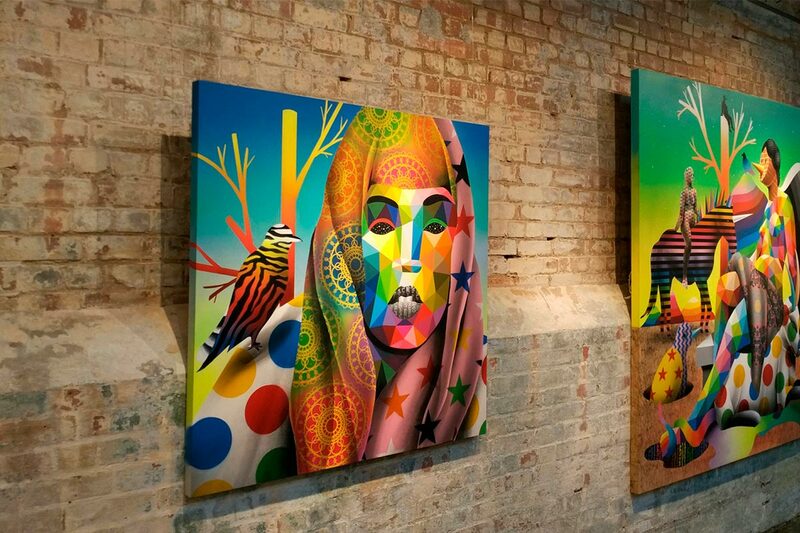 Deities created to appease the dissatisfactions of society and the uncertainties of our existence projected from an infinite universe in which nature is our only certainty. 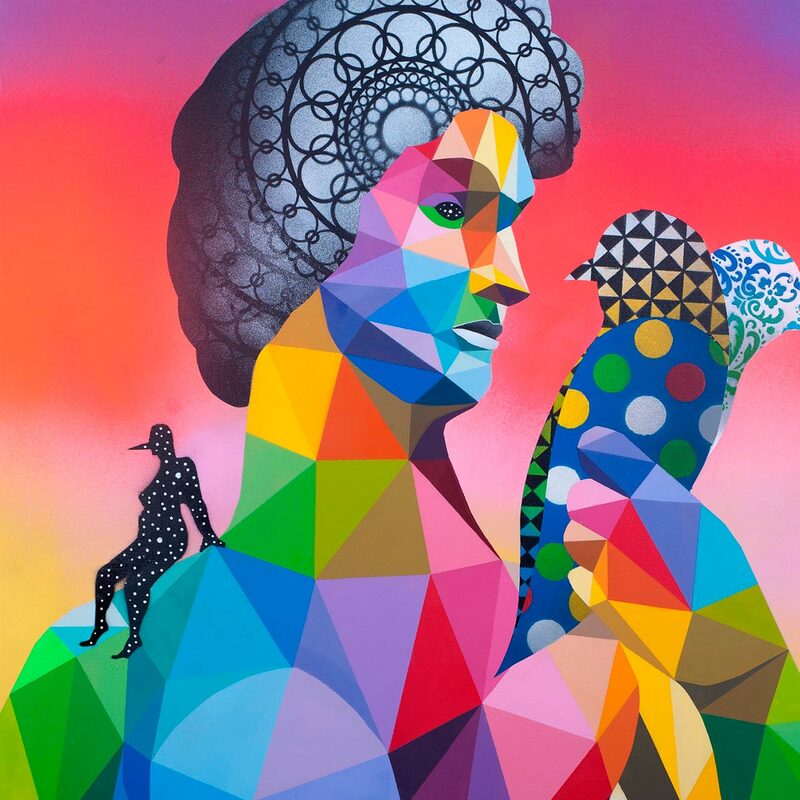 In “Lost Olympus”, Okuda offers a contemporary review of these representations inspired by the art of Classical Greece and its subsequent revision by the Renaissance artists shown from his own but universal and colourful perspective.